As 2018 winds down, here’s an end-of-year update on Philly Mag’s 10 Startups to Watch for 2018. The young companies share their biggest accomplishments and challenges, plus their hopes for 2019. By Fabiola Cineas·	 12/19/2018, 3:39 p.m. 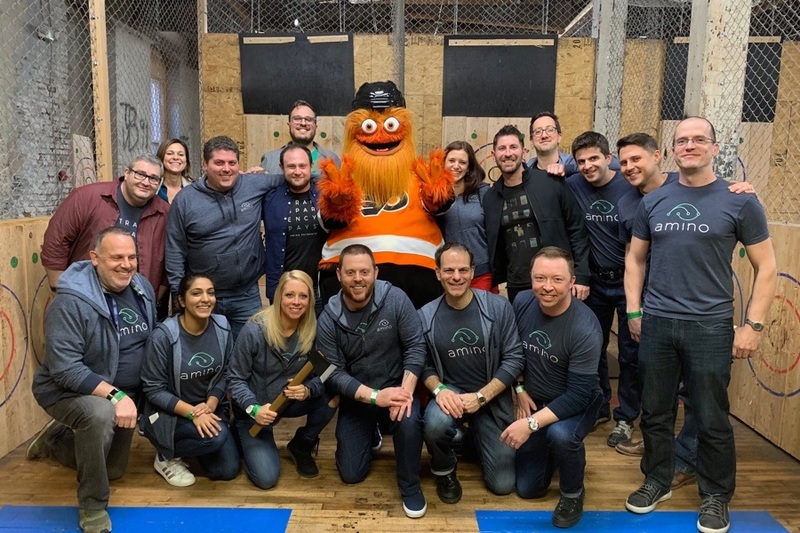 Gritty joined Amino’s holiday party at Urban Axes. 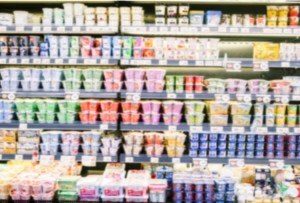 New Partners: In a Wall Street Journal article, Nestlé and Bayer announced their use of Amino Payments’ Amino Lens product, which allows them to track digital ad spend in real-time. Since then, we’ve brought on multiple advertisers and adtech partners and has tracked billions of ads and tens of millions of dollars of ad spend for some of the world’s top advertisers. Big Moment: In October, our CEO Will Luttrell presented alongside Nestlé’s Global Programmatic Lead Rachel Mervis at a leading industry conference — Programmatic I/O — on one of the major findings from Nestlé’s campaign that allowed them to save over five percent of their campaign budget. Top 2018 Accomplishments: Raised a $4.5M seed round led by First Round Capital in February; Signed dozens of new partners including some of the world’s leading advertisers, agencies, adtech, and publishing firms; Presented at industry leading conferences like Cannes, IAB Annual Leadership Meeting, Programmatic I/O and CES. For 2019: We’ll] continue what we’re doing — working hard to make digital advertising efficient and transparent. Keep up with Amino Payments at aminopay.com. 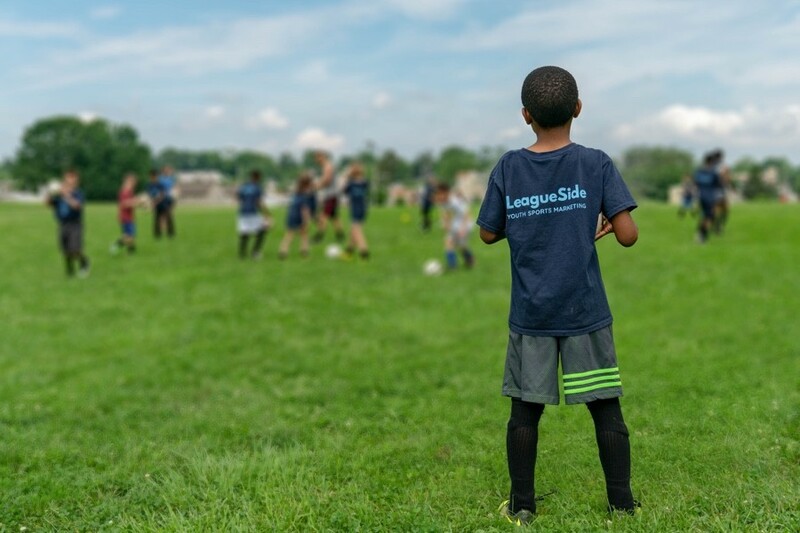 Clients and Team: LeagueSide will have its largest quarter in company history adding new clients including Carrabba’s, Children’s Hospital of Philadelphia, and Houwzer. We’ve hired two new team members including Dimitry Cohen, Director of Sales Operations, and Shannon Glavin, Software Engineer. New Product: We’ve rolled out our new Fieldhouse sponsorship platform to leagues and are working on a new analytics dashboard for sponsors. New Connections: Finally, we had the chance to travel to numerous conferences including Hashtag Sports to meet and collaborate with experts in the sports and marketing industries. Top 2018 Challenges: We spent the early to middle part of the year trying to hit home runs with enterprise-level companies rather than focusing on singles and doubles (yay sports puns). We learned that there are no shortcuts in sales and building a successful company means repeatable and scalable client growth and retention, not an increased focus on big contracts. Podcast spotlight: We were featured on GrowthCurve podcast on our success as a company and big plans for the future. For 2019: LeagueSide will be focused on scaling our team, rolling out a couple of national clients (to be announced), our Series A, and a brand refresh. Keep up with LeagueSide at leagueside.com. Smart Health Innovation Lab graduation. Courtesy photo. 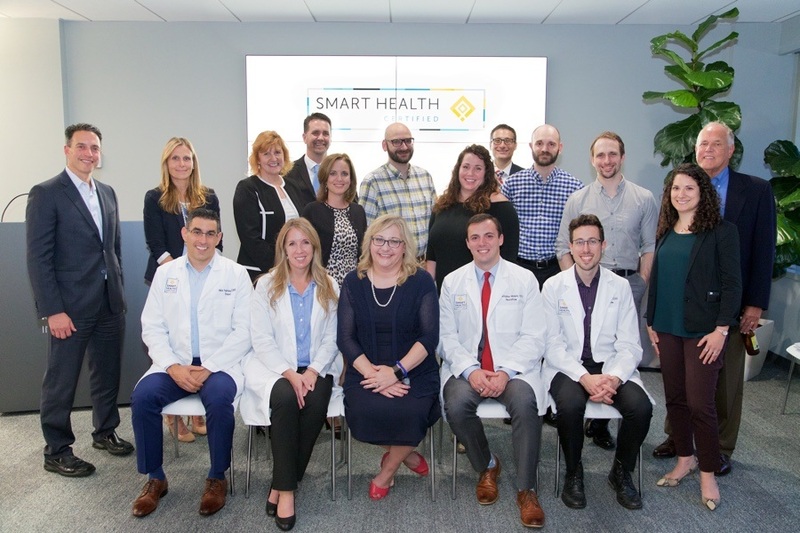 Skills: This fall marked our company’s graduation from the Smart Health Innovation Lab at Penn Medicine Lancaster General Hospital. The program, along with valuable customer feedback, helped to inform the messaging and positioning of our two core products — EngageBH for mental health specialists and IntegrateHealth for medical practices. Team: More recently, we added key hires in marketing, sales, and product development, bringing our count of full-time employees to 16. As our technology has evolved, so have our client needs. Top 2018 Accomplishments: Talent is so critical to the maturation process, and we made some critical hires that took NeuroFlow to the next level. Secondly, we moved from the proof-of-concept stage to having two commercially available products. This was important for us as we checked off a third box: raising additional capital. In the fall, we secured $2M to continue to scale the company. Mission Realized: We’re really proud to have the NeuroFlow mission come full circle. Although the technology serves all populations today, my initial motivation for the company was to help veterans with PTSD. In October, we launched the platform at the Corporal Michael J. Crescenz VA Medical Center in Philadelphia, where we will be studying patient compliance and engagement. Big Spotlight: Forbes took a deep dive. 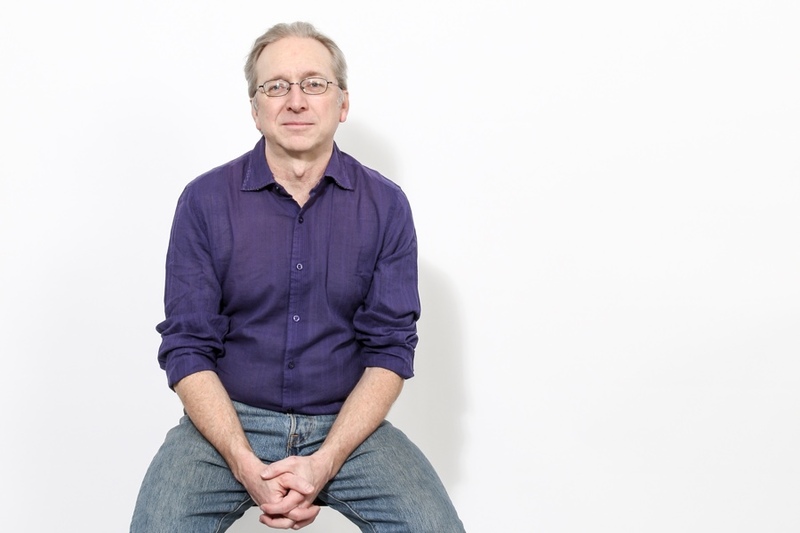 For 2019: NeuroFlow has raised $3.25 million to date — a portion of that in Q4 2018 — and we’re very excited to put that capital to work in 2019. In the New Year, we have new product updates in store, hiring, and will be presenting at several major industry events. Keep up with NeuroFlow at neuroflowsolution.com. Onyx Valley weekly working session. Courtesy photo. Community: We’ve been actively spreading the message of diversity and representing at various events. Onyx Valley was a community partner for the NorthStar Conference and contributed to The Atlantic’s “Path to Shared Prosperity: Increasing Opportunities for U.S. Workers and Businesses” event. We highlighted the work Onyx Valley does to help students learn the skills to compete in the global tech economy and to increase opportunity and growth in the city. 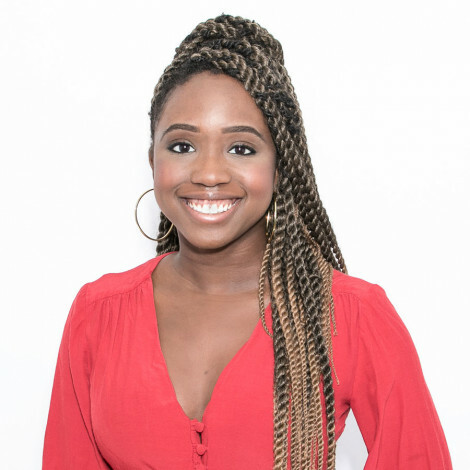 Onyx Valley is now also a part of Black Girl Ventures’ extended community of organizations led by black and brown women after winning second place in their Philadelphia pitch competition. Field Experience: Onyx Valley Studios (OVS), a student-led design consultancy created to give students real-world experience working with a client, officially launched in August with our inaugural project for Spruce Street Harbor. Students held a kickoff meeting with the Delaware River Waterfront Company (DRWC to discuss their approach to innovation at the park and then went on to practice their field research skills with a trip to the park where they interviewed patrons and employees and observed the environment. Students held weekly working sessions for 12 weeks to complete the project. 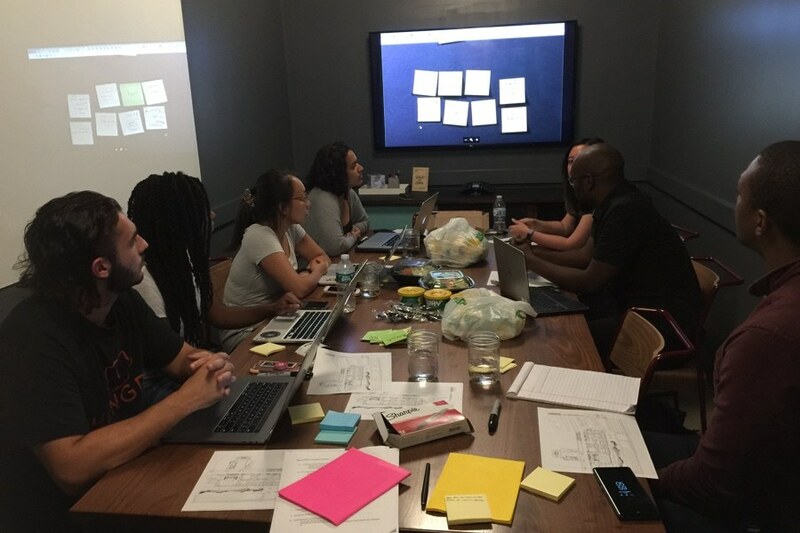 Proudest 2018 Moment: After the success of the UX Portfolio boot camp in the spring, students were invited back for a special workshop two months later. I was thoroughly impressed and touched that the students were happy to reunite and get back to learning. 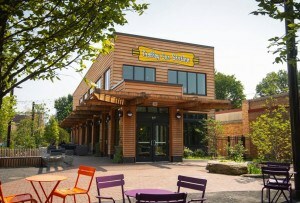 The students have already accomplished the main goal of Onyx Valley — building a community. Biggest 2018 Challenge: Our biggest challenge is resourcing. We want to invest time into each student, but we need more committed volunteers to give them the attention they need. Word about Onyx Valley has been spreading! We get contacted every week by people who want to sign up. We would love to accommodate anyone who is motivated to work hard for a career in user experience, however we are limited in how many people we can take on. For 2019: The second OVS project just kicked off and is currently underway. We are working with the City of Philadelphia’s Office of Open Data & Digital Transformation to redesign experiences for non-English speakers navigating government services. We are also looking to build our campus presence and assemble our next cohort. We will have campus reps on three local campuses for the Spring 2019 semester. Next year will also mark the first paid Onyx Valley Studios project. We tell students that there is a value for the type of work they do, so we have secured a paid client project. If you have a business challenge or are looking to innovate at your organization, please visit our website to inquire about becoming a client in the future. Keep up with Onyx Valley on Instagram, Twitter and Facebook. 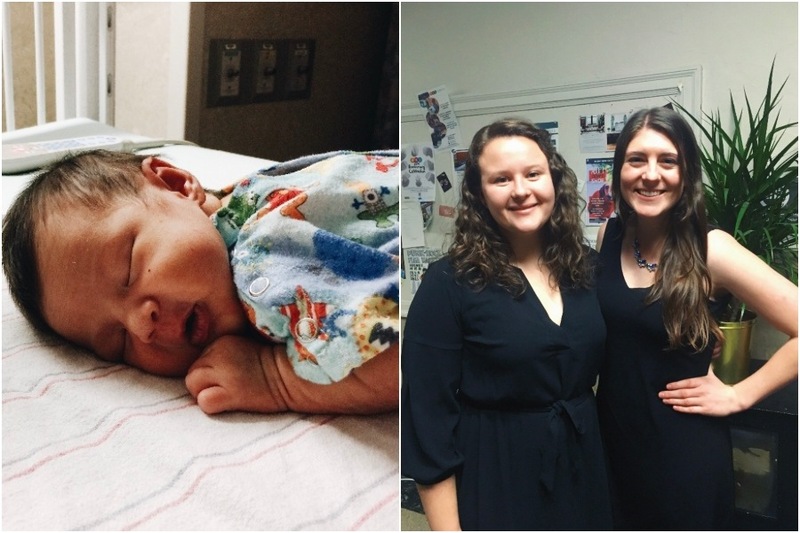 PatientWing’s newest members: L to R: Lili Kueny (born November 2018, daughter of Todd Kueny, co-founder & CTO, and Penn Kueny, director of product); Emily Cubbage and Hana Feiner. Rebrand: We dropped “VitalTrax” for “PatientWing” and launched a new look for the platform including a new dashboard for study and campaign management. Team: We added two new team members and recently welcomed Lili Kueny (born November 2018, daughter of Todd Kueny, CTO, and Penn Kueny, Director of Product) to the PatientWing family! Proudest 2018 Moments: Launching PatientWing Enterprise, more than tripling revenue, growing our team, and acquiring new customers. Bigger Portfolio: CSL Behring, Stanford Health, and Massachusetts General Hospital are some of our new clients. For 2019: We plan to continue expanding our customer base, raising funds, and building additional strategic partnerships. Keep up with PatientWing on Facebook, LinkedIn and PatientWing. PhillyWisper founder Mark Steckel. Photo by Claudia Gavin. Speedy Expansion: We’re seeing rapid growth in our large building installations, as the rate of inbound requests increases from property ownership groups for condos, apartments and commercial buildings. 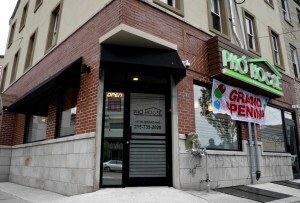 The response from property owners is strong as they see that adding PhillyWisper service makes their building more attractive. We’ve completed major network upgrades and large high-rise deployments. Big Step: We rolled out our first Gigabit service and expect all of our new large building roll outs to include Gigabit service. We’re now working on growing our installation, operations, and network teams. Marketing: To date, we’ve been growing by word of mouth. In Q1, we will start our first marketing campaign. For 2019: Our mission is to bring better internet to Philly, and we’re working hard to expand our network. We expect to announce new service areas in January. We’ve had lots of inquiries, so stay tuned! Keep up with PhillyWisper at phillywisper.net. 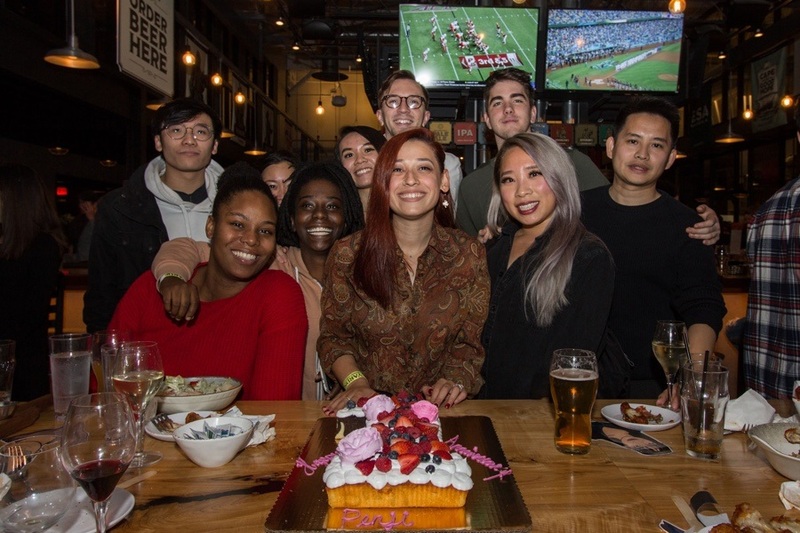 Penji team members at the company’s one year anniversary celebration. New Platform: We’re about to launch Penji 3.0. The new platform allows you to create ANY design request in under 3 minutes, get a draft back in 24 – 48 hrs, communicate in real time with your designer, and still only pay a flat monthly rate. Teamwork: Throughout 2018, our success has been a result of working together as a team. As we move into 2019, we want to become more aligned as a company and further invest in the future of Penji. Priority: Diversity is an issue that at times is uncomfortable to talk about. At Penji, we embrace our diversity and celebrate it constantly. Earlier this year, we launched a podcast called Shades of Success, where we highlight individuals who are making positive strides within their community. Episodes launch every Wednesday, feel free to check it out here. For 2019: We will only succeed if we continue to solve large problems and constantly put an emphasis on the customer experience. Our 2019 mantra is to “move boulders together” instead of individually sweeping pebbles to look busy. 2019 is the year for us to align our focus and continue providing unlimited graphic design support at an exceptional value. Keep up with Penji at penji.co. Team: Our team size doubled from 12 to 25 employees. 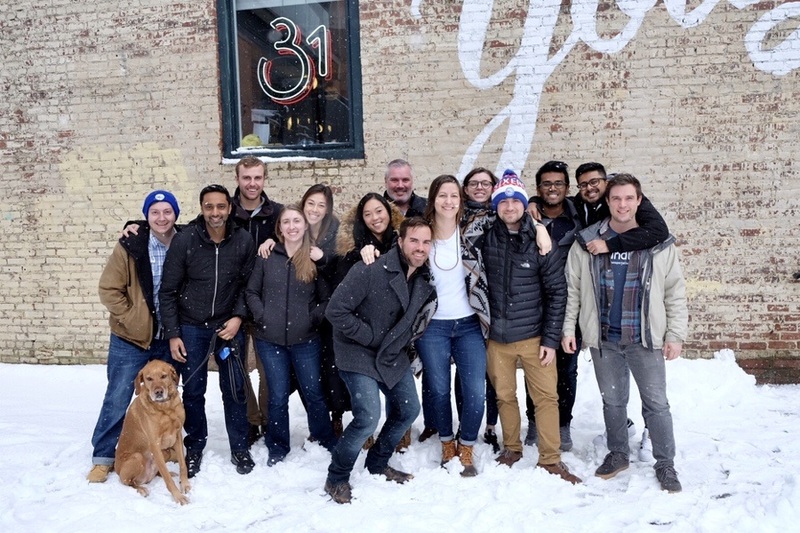 We relocated from the Northern Liberties WeWork office to our headquarters in Old City. New Mission: Our mission has expanded beyond fixing medical transportation to driving better health outcomes. New Clients: We brought in new clients and partners including Johns Hopkins, NIH, VCU Health, Jewish Federation, Camden Coalition and a Medicaid and a Blue Cross health plan. 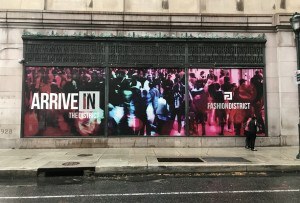 Top 2018 Accomplishments: Driving down no-show rates to four percent for partnering hospitals; Expanding into over 17 states including the West Coast, the Southwest, and the Southeast regions in addition to our stronghold in the Mid-Atlantic; and executing on a world-class product that truly solves the transportation barrier so many face. 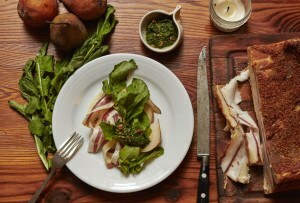 Big Spotlight: RoundTrip was profiled in the New York Times. For 2019: We want to establish RoundTrip as the leading digital transportation marketplace for the betterment of health, working even closer with government agencies to remove transportation as a barrier to aging in place, clockwork-like execution through objectives and key results. Keep up with RoundTrip at www.rideroundtrip.com and at the Introducing RoundTrip Community blog. 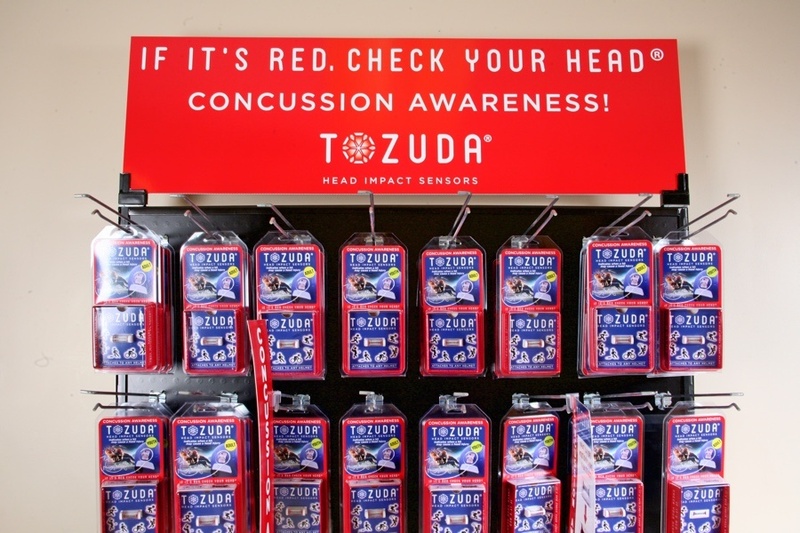 Tozuda’s head impact sensors on display. Courtesy photo. Funding: In the second half of 2018, Tozuda wrapped up a successful Kickstarter campaign raising over $30,000 with more than 150 backers! It was exciting and encouraging for our team to have so many people from various backgrounds, countries, and industries see the value in our sensors. Upgrades: Our team grew from four to seven and we spent the latter half of the year working on perfecting our manufacturing, assembly, and shipping processes. Tozuda has partnered with Total Mold Services and Eagle Design Group, both located in Pennsylvania, to ensure our manufacturing and assembly procedures are as efficient and infallible as possible. On Stage: Our founder and CEO Jessie has spoken at a number of exciting engagements and conferences this year, including the DVIRC Manufacturing Summit and the General Business Contractors of America Safety and Technology Conference. 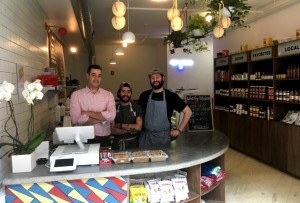 Tozuda was named a Stellar StartUp finalist by Philly.com and our team continues to be inspired by the many amazing fellow Philadelphia-based entrepreneurs, engineers, and innovators who motivate us every day. Spotlight: Tozuda was selected for Folgers’ 1850 Be Bold campaign, and Jessie will be featured in a commercial for the coffee brand coming out at the end of the year. We’re excited by the opportunity to get our first national media exposure! Biggest 2018 Challenges: The most difficult obstacle our team overcame was with manufacturing and fulfilling sensor orders. Our original suppliers were not as reliable as we had hoped, but we received a lot of support from TMS and Eagle Design to optimize manufacturing and assembly processes. While we are capable of manufacturing in-house, we partnered with TMS to better help us meet demand at scale. We were very eager to get sensors out as soon as possible, but had to extend fulfillment to ensure we weren’t sacrificing quality or reliability for immediacy. For 2019: We will be heading into fundraising and actively doing our first raise. We’re always looking to grow and spread concussion awareness. Tozuda will also begin manufacturing sensors in volume, and soon we will be shipping sensors out to our generous and patient Kickstarter backers. We will start our first retail store rollout this year, beginning a number of store tests with a sporting goods store. We’re excited about our continued expansion to new states, countries, and industries in 2019. Keep up with Tozuda on Instagram, Facebook, and Twitter.